© 1985 Golden Way Films Ltd. − All right reserved. 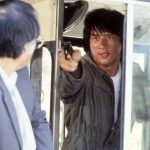 Production Companies: Golden Way Films Ltd., Paragon Films Ltd.
Police Story (Chinese: 警察故事; pinyin: Jǐngchá Gùshì; Jyutping: Ging2 caat3 gu3 si6) is a 1985 Hong Kong action film written and directed by Jackie Chan, who also starred in the lead role. It is the first of the Police Story series featuring Chan as a Hong Kong police detective named “Kevin” Chan Ka-Kui. 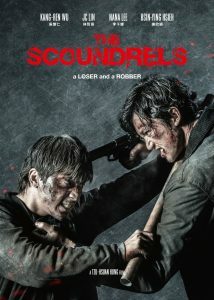 Chan began work on the film after a disappointing experience working with the director James Glickenhaus on The Protector, which was intended to be his entry into the American film market. 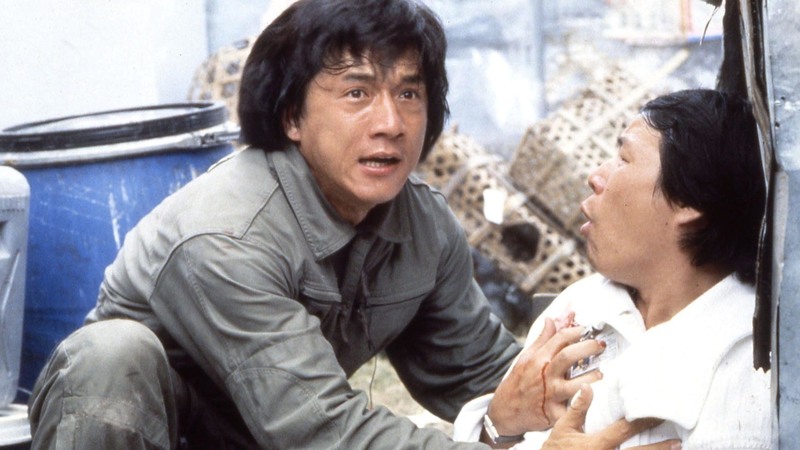 Police Story was a huge success in East Asia. 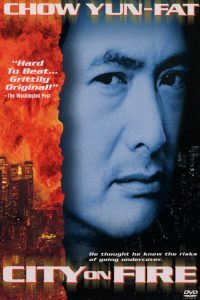 It won the Best Film award at the 1986 Hong Kong Film Awards. 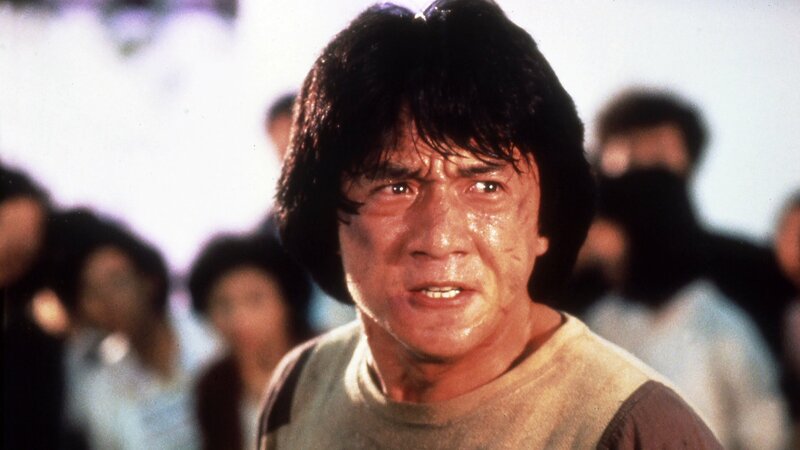 According to Chan’s autobiography he considers Police Story his best action film. 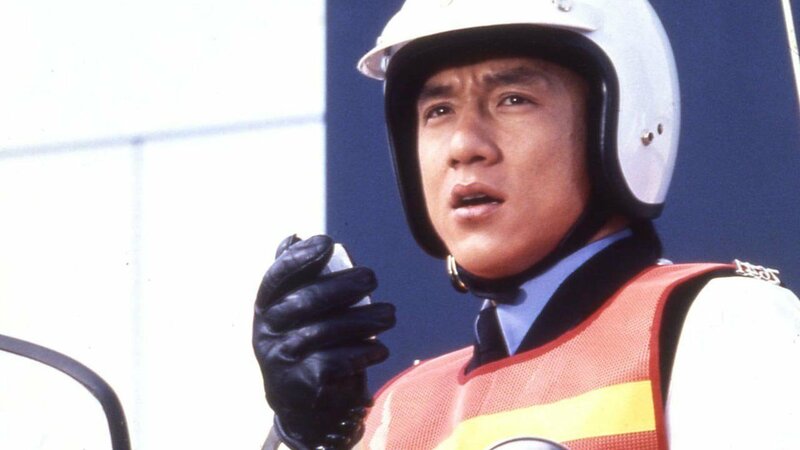 The Royal Hong Kong Police Force is planning a major undercover sting to arrest crime lord Chu Tao (Chor Yuen). 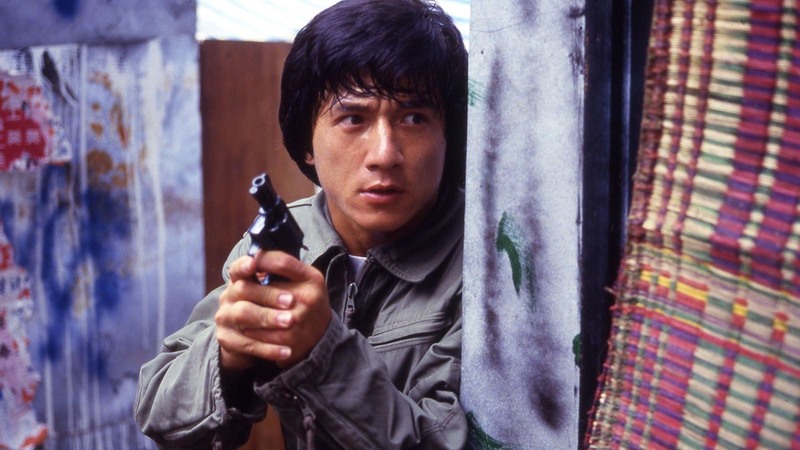 Inspector Chan Ka-Kui (or Kevin Chan in some versions) is part of the operation, along with undercover officers stationed in a shanty town. However, the criminals spot the officers and the shootout ensues between the two groups in which civilians either flee the town or caught in the crossfire as a result of the gunfight. 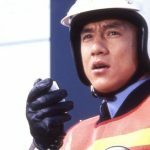 Chu Tao and his men successfully flee in their car by driving through the town but crashes it immediately after going downhill and escapes on foot. Ka-Kui persists in his chase on foot as Chu Tao and his men attempt to escape in a double-decker bus. Ka Kui manages to get in front of the bus and bring it to a halt by threatening to shoot the driver with his service revolver. 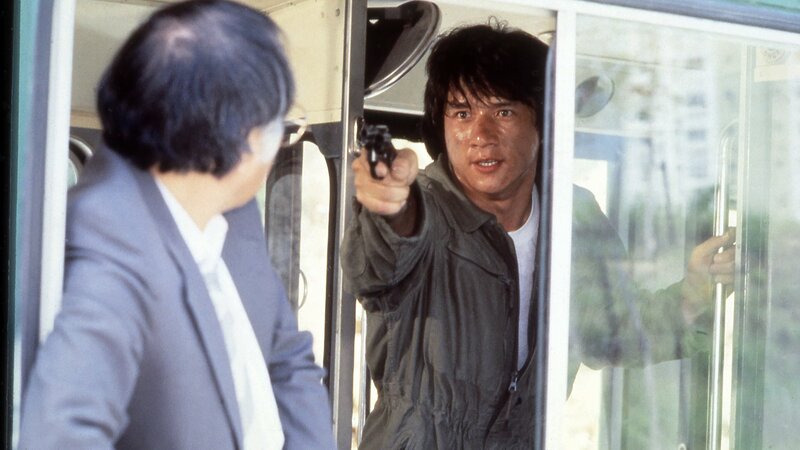 Later, Ka-Kui is reprimanded by Superintendent Li for letting the operation get out of hand, but subsequently presented to the media as a model police officer. 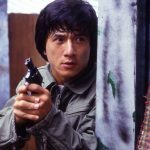 His next assignment is to protect Chu Tao’s secretary, Selina Fong (Brigitte Lin), who plans to testify in court about Chu Tao’s illegal activities. 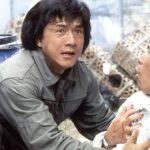 At first, Selina insists that she does not require protection, but after Ka Kui has a fellow policeman break into her apartment and pose as a knife-wielding assassin and later afterwards had his other officers fighting him while Ka Kui attempts to drive away along with her, she becomes more cooperative. When Ka-Kui arrives at his apartment with Selina, he is surprised by his girlfriend, May (Maggie Cheung) and her friends, who are throwing a birthday party for him, but May becomes angry with Ka-Kui after seeing Selina only wearing lingerie and Ka-Kui’s jacket. Ka-Kui later explains to May that Selina is a witness, but after much bumbling and embarrassment, causing her to leave the scene, though she does go to Chu Tao’s trial the next day. Meanwhile, Selina discovers that the attack at her apartment was a sham, and decides to slyly record over her confession about working for Chu Tao that took place in the car ride there. She sneaks away while Ka-Kui is sleeping and is not present at the trial the next day, which ends with failure for the prosecution because of Selina’s absence and tampering with the recording. 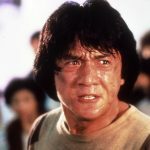 Though Chu Tao is released on bail, he wants revenge against Ka-Kui. He captures Selina and threatens to kill her to ensure her silence. Ka-Kui finds and frees her, but is attacked by several of Chu Tao’s men. 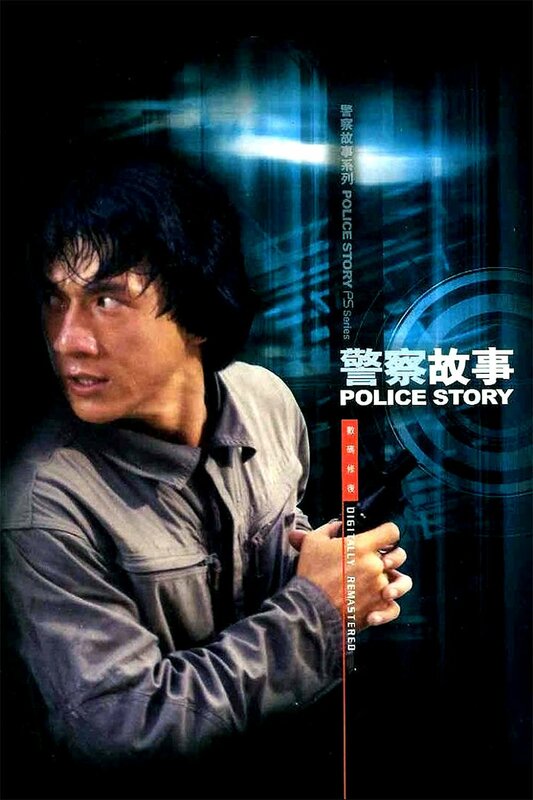 When fellow Police Inspector Man arrives (Kam Hing Ying), he reveals that he had been working with Chu Tao and thus Selina’s capture was merely a ruse to trap Ka-Kui. To Man’s grim surprise, the plan is also to include Tao’s men killing him with Kui’s gun to frame him for murder. 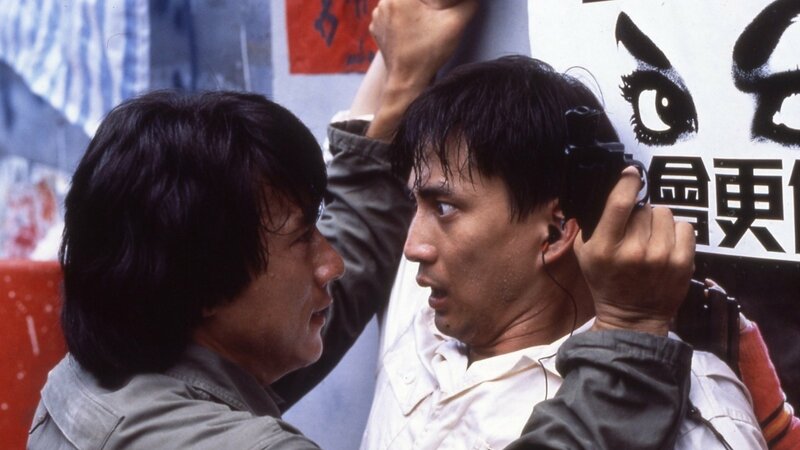 Now a fugitive cop killer, Ka-Kui must try to catch Chu Tao and clear his name, taking his superindendent as hostage in order to escape custody, though he soon lets his co-operative superior go free. 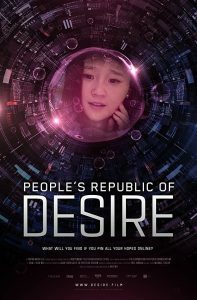 Selina goes to Chu Tao’s office at a shopping mall to download incriminating data from Chu Tao’s computer system. Chu Tao notices this and he and his men rush to the shopping mall to intervene. Ka-Kui and May, who are monitoring Chu Tao’s activities, follow. In the ensuing carnage, Ka-Kui defeats all of Chu Tao’s henchmen (and destroys a good portion of the mall). The briefcase containing the computer data falls to the ground floor of the mall, but Chu Tao retrieves it after attacking May. Ka-Kui, at the top floor, slides down a pole wrapped in lightbulbs to the ground floor and catches Chu, but the rest of the police force quickly arrives and prevent him from further taking matters into his own hands. Selina attests to them that Danny Chu killed Inspector Man and evidence of his crimes is in the briefcase. Chu’s defence attorney shows up and accuses the police of misconduct, prompting a beating from an at-wit’s-end Ka-Kui, who goes on to extend the beating to Chu Tao before being stopped by his friends.